Best Moments Of 'The Tonight Show With Conan O'Brien' – A Look Back! As the "The Tonight Show With Conan O'Brien" draws to a close on Friday night, AccessHollywood.com takes a look back at some of CoCo's most popular and best moments from his short – but stellar – almost eight months behind the desk. According to Hulu.com, Sarah Palin's appearance in December 2009 (getting back at William Shatner for mocking her) is the most watched clip from Conan's show. Regardless of your politics, no one can deny the comedy gold in Palin reading from Shatner's biography, "Up Till Now." And the reason for Palin's appearance – Shatner's recreation of Palin's farewell speech after she left the Governor's office in July 2009. And then more Shatner/Palin fun happened when he recreated her Tweets in a hilarious spoken word performance. One of Conan's best obscure bits had to be "The Tonight Show Mini Dose of Joy" segment, in which he gave us puppies dressed as cats – absurd and cute – and all Conan! No Conan list would be complete without an appearance by Triumph The Insult Comic Dog. Triumph's visit to the Bonnaroo Music Festival in June 2009 was highly inappropriate… and beyond funny. Another classic inappropriate Conan moment that we're still having trouble forgetting is Sacha Baron Cohen's appearance as his character "Bruno" in June 2009 – but we're sure Conan is more scarred than anyone else. Following Internet rumors that his show's set was based on Nintendo's Super Mario Bros video game, Conan addressed the notion with a great visual gag. We're still picturing Mario and Luigi in that backdrop! When Conan brought back his "Late Show" bit "In The Year 2000" in a new "Tonight Show" form, he renamed it "In The Year 3000" – and it was still just as good. And for a look at where it started, Conan's classic cold opening bit on the first show on June 1, 2009. On his last show on Friday, Conan will welcome back his first guest, Will Ferrell, and also be joined by Tom Hanks and Neil Young. 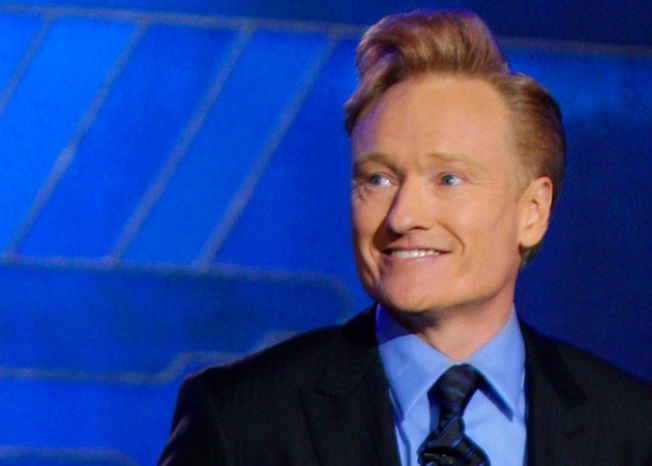 He might have been cancelled prematurely, but during Thursday's monologue, Conan noted that his last show would definitely be one to remember. "Tomorrow night we're going to have a lot of fun on television. We have amazing guests stopping by. We have some really fun surprises planned," he said during his opening monologue, adding, "I am prohibited from coming within 500 yards of 11:30… I must return the Etch-A-Sketch my contract was written on… I'm not allowed to make fun of NBC programming. I have to let the programming speak for itself."